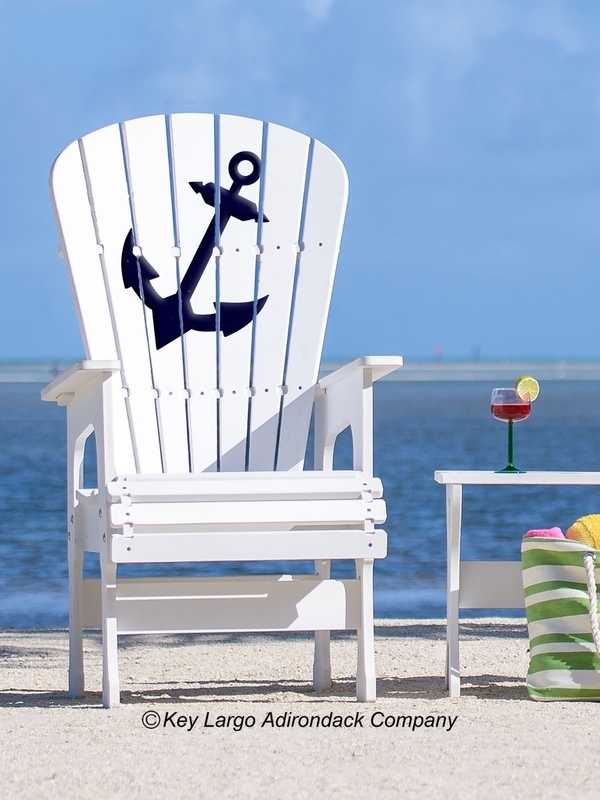 All of our high qualtiy outdoor patio furniture, including this High Top Chair with an Anchor design, is of commercial quality. It is perfect for the pool deck, sundeck, the front porch, or around the fire pit. Each piece is designed to be SOLID & STURDY and is built with comfort in mind. They are designed to be UNIQUE, eye-catching, impressive, yet practical and virtually maintenance free, and built to last for decades. Our chairs are handcrafted from man made composits made by Trex, which withstands even the harshest weather conditions and includes a 25 year warranty to not shrink, swell, warp, splinter, rot, fade or delaminate and is insect resistant. 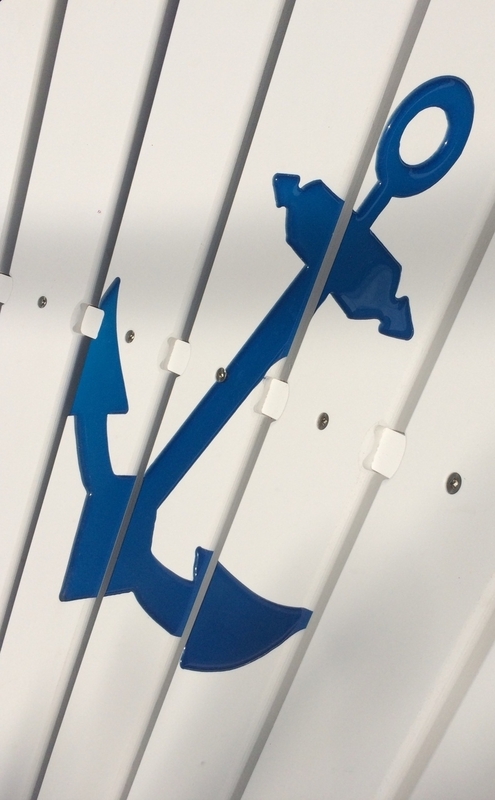 We use only premium quality American Made stainless steel fasteners to help prevent any rust or corrosion.